Los Angeles: Jamal Murray led a dramatic late fightback as the Denver Nuggets scored a series-levelling 114-105 victory over the San Antonio Spurs on Tuesday in their Western Conference playoff duel. 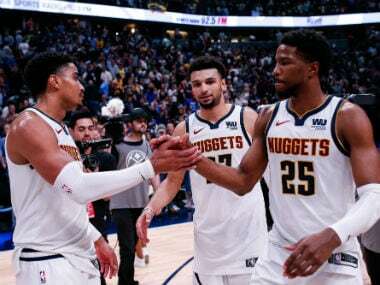 Murray, who had missed a potentially game-winning jump shot in Denver's defeat in game one on Saturday, erupted for 21 points in the fourth quarter as the Nuggets grabbed a vital win in Denver. 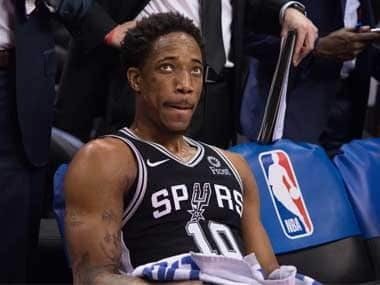 The 22-year-old Canadian, who had looked out of sorts throughout, made eight of nine field goal attempts in the fourth quarter to tie the series at 1-1 ahead of game three in Texas on Thursday. Nuggets head coach Mike Malone said he had never doubted Murray's ability to deliver despite scoring only three points in the opening three quarters. Benching Murray for the final period was never an option, Malone added. "I was going with him," Malone said. "It's so important for all of our guys, but especially for Jamal. He's a young player, out there struggling trying to play the right way. I didn't foresee the fourth quarter he was going to have, but I knew in my heart he needed these minutes. He needed to be out there. "And I needed to show him that I believe in him. If I pulled him, he's thinking 'Does coach really believe in me? Does he have my back?'. "So I had to stay with him. Make or miss, he's our guy. I care about him. He came through in a big way." Gary Harris had 23 points, while Nikola Jokic added 21 for Denver, who also saw power forward Paul Millsap add 20. Monte Morris chipped in with 11 points from the bench. San Antonio, who led 59-49 at half-time, saw DeMar DeRozan top the scoring, with 31 points. LaMarcus Aldridge added 24 points but only one other player, Derrick White, managed to crack double digits, adding 17 points. Malone said the turning point had come during a third-quarter timeout with the Nuggets trailing by 16 points. 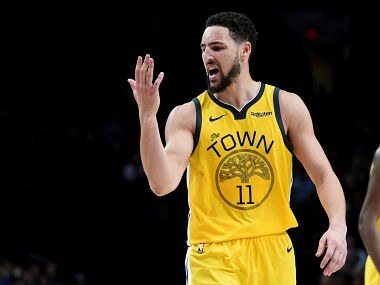 The Denver coach said he urged his team to take inspiration from the Los Angeles Clippers' record comeback on Monday, when they overturned a 31-point deficit to defeat the Golden State Warriors. "I reminded them we had 18 minutes to go. I reminded them what the Clippers did last night, and how much basketball we had left," he said. "But I said it's only going to happen though if we believe, we commit and we fight, and we attack. And the guys took it to heart. It's a hell of a win." Elsewhere on Tuesday, Kawhi Leonard scored 37 points and Pascal Siakam delivered a double-double as the Toronto Raptors defeated the Orlando Magic 111-82 to level their Eastern Conference series. 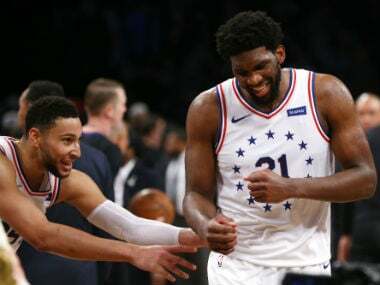 The Raptors, who were jolted by a shock defeat in game one on Saturday, came roaring back to dominate the Magic throughout on their way to a comfortable win. After opening up a 51-39 lead at half-time, the Raptors cut loose in a devastating third quarter, outscoring Orlando by 39-27 to take 90-66 lead heading into the fourth quarter. Leonard was the architect for the Raptors' potent offense, making 15 of 22 field goals on his way to 37 points, four rebounds and four assists before a raucous home crowd at the Scotiabank Arena. The series now heads back to game three in Orlando on Friday. 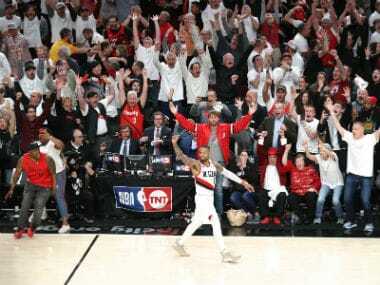 In the other playoff game on Tuesday, the Portland Trail Blazers took a stranglehold on their series with Oklahoma City Thunder, forging into a 2-0 lead with a one-sided 114-94 win. C.J.McCollum and Damian Lillard once again shepherded the Blazers to victory. McCollum finished with 33 points, eight rebounds and five assists while Lillard added 29 points, four rebounds and six assists. Thunder star Russell Westbrook fell just short of a triple-double with 14 points, 11 assists and nine rebounds. Paul George led the OKC scoring with 27 points. Game three in the series takes place in Oklahoma City on Friday.